I've been wearing my beloved Flowerbomb by Viktor & Rolf ever since its inception. I'd deviate every now and again to try something new, but always came back to Flowerbomb. The chemistry of me and this perfume has invoked so many reactions, many of familiarity (how it's become "my smell") and several people have nuzzled their faces into my neck emitting a variety of exclamations. But somehow I feel like my relationship with Flowerbomb should come to an end or at least take a pause. Back in 2006, while in Paris, my mom offered to buy me my first bottle, which attracted me because I thought the design was cool. I kid you not, that's how calculated my perfume decisions were: "I like Viktor & Rolf" + good bottle design = winning combination. I knew nothing about perfume, I tried some here and there but I was far from making an educated choice on what would work on me. But hey! My math worked! And I have been wearing it since. For many christmases my Flowerbomb stash would be replenished by my mother who thought it would be an easy and practical gift for her not-easy-to shop-for-daughter. Last christmas was my first one without my mother and my signature scent was dwindling. I took it as a sign. Time to move on. I am taking the very calculated route this time. No abstract math. Just test drives. I've been feeling a bit multiple personality since starting the tests. Hopefully I'll be able to strike perfume gold twice. Last weekend I attended the Basilica Hudson's Basilica SoundScape, an "antifestival" of music and art and awesomeness in the Hudson Valley. From improv jazz drumming, performance art, noise bands, and droning electronic music, the night I spent at the Basilica had filled up my senses and The Haxan Cloak's subwoofers rearranged my insides. (Peep this great roundup article for more.) 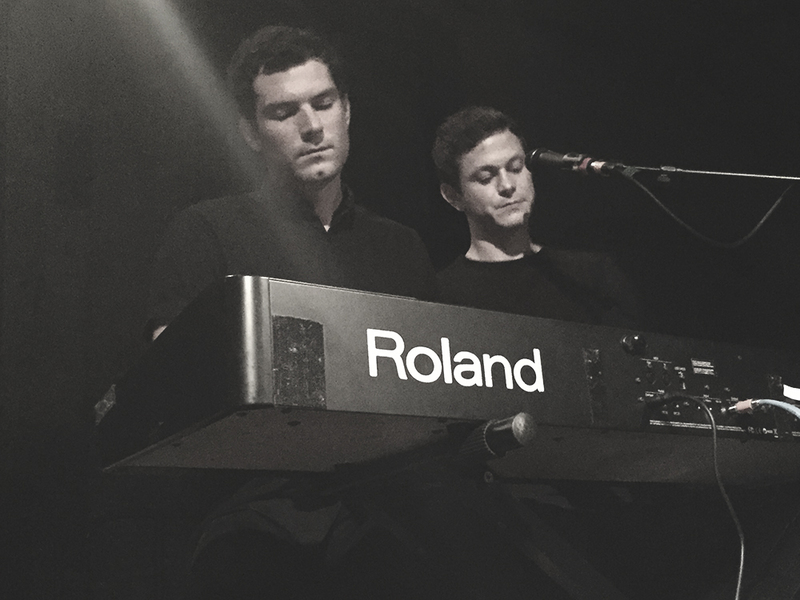 A more low-key moment in the evening introduced me to Perfume Genius who managed to seduce the audience into a dreamy eyed state. The set included a version of this charming piano duet, which has been looping in my playlist since I got home. Enjoy. 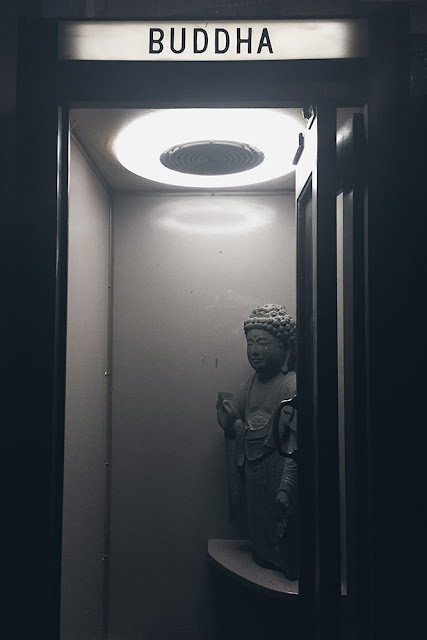 Last look: an enlightened telephone booth buddha at Basilica Hudson.